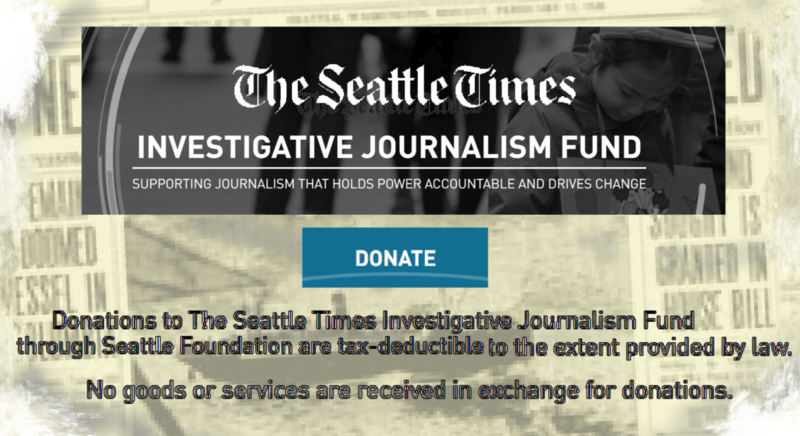 The Seattle Times has now become a charity .. at least as far as support for investigative journalism. In an email today, the Times announced that in addition to paying for a subscription, not tax-free, I can pay for the salaries of its reporters and get a tax deduction! The Seattle Times, owned by the Blethen family, will maintain editorial control over content produced by the charity. The contributors, called “Times Funders” will be publicly identified but will not have any input into the reporting of stories or into any of the specific content that will be produced with fund resources. 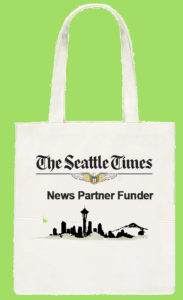 Nor will funders be aware of specific stories The Seattle Times newsroom is working on and or be asked to review them before publication. Funders do not have special access to reporters. The Seattle Times Investigative Journalism Fund is a component fund of Seattle Foundation, a Section 501(c)(3) organization. Seattle Foundation has exclusive legal control over all funds received. Accordingly, contributions to the Fund are treated for tax purposes as gifts to a Section 501(c)(3) public charity and are tax-deductible to the extent allowed by law. They should call it Rent-A-Reporter. What a great idea! Next Amazon will become a nonprofit!